ISLAMABAD: A big Indian espionage network in Pakistan has been exposed as five more Indian diplomats have been found involved in terrorism. The network of spies was discovered in the light of investigation of arrested RAW agent Kulbhushan Yadav. Islamabad is expected to announce at any time that two Indian ‘diplomats’ are persona non grata and expel them for carrying out subversive activities inside Pakistan.While there is still no official comment on these latest expulsions, The News has learnt that the Foreign Office is seized with the matter and is constantly in touch with its High Commissioner Abdul Basit based in New Delhi. Wednesday saw reports being leaked to the media that Rajesh Kumar Agnihotri has been identified as the RAW station chief, while Balbir Singh has been identified as an officer of the Indian Intelligence Bureau (IB). In an unusual step, photographs of the two Indians were flashed by television channels. Amardeep Singh Bhatti, visa attaché, Madhawan Nanda and Vijay Kumar are also part of this network.The Foreign Office is not denying these reports but is in touch at the diplomatic level with the Indian government over the matter, but officially at least the Indian Ministry of External Affairs says they have not been approached by expulsions. Both these officials were based at the Islamabad High Commission with Balbir Singh in touch with the local media since he worked as the press attaché. However, his cover was blown immediately after he arrived in Islamabad as he was followed by a group of local spooks whenever he stepped out of his home or the High Commission. Though it is no secret that under cover officials operate in embassies and high commissions the world over, with Pakistan and India not being any exception, but there is an unwritten rule that the covers of these ‘diplomats’ is not blown for reasons of personal safety. Meanwhile, officials confirm that six officials serving in Pakistan’s High Commission in New Delhi returned home for the sake of their safety. Amongst these six officials are commercial counselor Syed Furrukh Habib and first secretaries Khadim Hussain, Mudassir Cheema and Shahid Iqbal. “The decision has been taken after it became impossible for the officials to work in this vitiated atmosphere. Indian government is threatening and blackmailing Pakistani diplomats. So in this condition, it is impossible for us to stay in this country and work”, officials in the High Commission say. Though these spy versus spy episodes have been part and parcel of Indo-Pak volatile bilateral relationship this time it was New Delhi that upped the ante and was the first to violate this understanding while putting the lives of Pakistani officials and their families at risk when they went public with naming Pakistani staffers in New Delhi as ‘spies’. Pakistan’s visa officer Mahmood Akhtar, working at Pakistan’s High Commission for over two years was declared persona non grata by New Delhi and asked to leave within 48 hours. Behind the scenes and away from the public eye, Islamabad has taken up the matter of manhandling and torture of Mahmood Akhtar by Indian intelligence agencies very strongly with New Delhi and thankfully not stooped down to India’s level and refrained from physically manhandling any Indian staffer in Islamabad. Pakistan contested the Indian claims and said Akhtar was lifted by the Indian authorities on ‘false and unsubstantiated charges.’ “We condemn the detention and manhandling of our diplomatic official,” FO spokesperson Nafees Zakaria said rebutting the Indian claims that he was treated well during the detention. Pakistan also strongly denounced the Indian government’s decision to expel Akhtar saying the Indian action was in violation of the Vienna Convention as well as norms of the diplomatic conduct especially in an already vitiated atmosphere. The Indian media went into a frenzy with news of the possible expulsion of two Indian ‘diplomats’, with The Hindu in its excitement using a dated photograph of former Foreign Minister Hina Rabbani Khar with the news report. That India has been working overtime in carrying out terrorist activities in Pakistan is no secret, after confessions from London that New Delhi was funding and training MQM workers to work against the state and in March this year when Pakistan nabbed Kulbushan Yardav a serving Indian naval officer it said was working for RAW and who confessed publicly that he was specifically sent for this purpose to Balochistan. While the Modi government has made several attempts to implore upon Pakistan to free what it says is a jawan who crossed the LoC, there are no voices raised in Delhi in recent months to free its Naval officer. Pakistan is quite clear that this latest policy of declaring Pakistani officials ‘spies’ is specifically to take away attention from the ongoing and never ending atrocities inside Occupied Kashmir which does not see any respite and create a diplomatic hype. Killing of civilians across the LoC inside Pakistan, using Indian security forces to go inside homes in Occupied Kashmir and use pellet guns to blind young Kashmiri women has not gone unnoticed in world capitals. 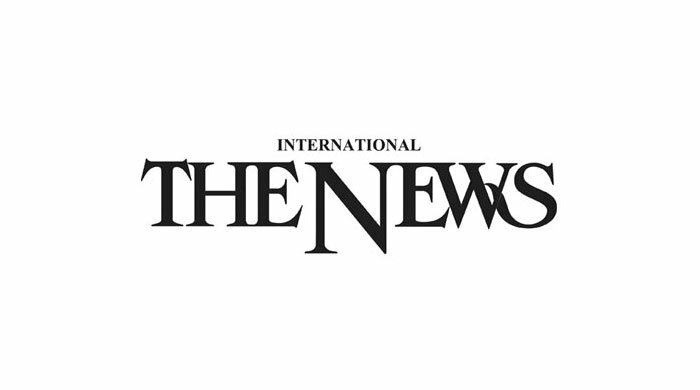 Besides a strong article in Los Angeles Times, on Tuesday the EU Ambassador in Islamabad also raised his voice on the urgency for Kashmir to be raised in talks between the two neighbors, while the United Nations has also come out with a strong statement on the situation inside Kashmir. Meanwhile the Indian media says that by early December there might be a ‘thaw’ between the two neighbors with Prime Minister Nawaz Sharif likely to visit New Delhi to participate in the Heart of Asia conference on Afghanistan.